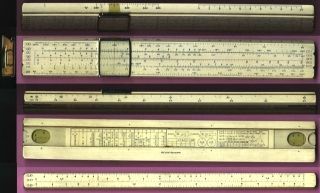 Hemmi Bamboo Slide Rule Company Ltd. in Japan is the oldest and most well known Japanese manufacturing company making slide rules. 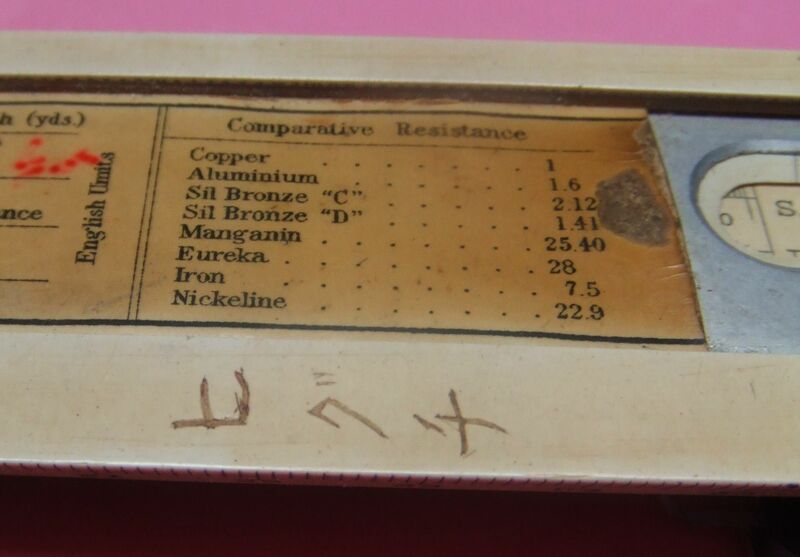 Jirou Hemmi and Company was founded in 1895 and, in 1912, was granted by the Japanese Patent Office Patent No. 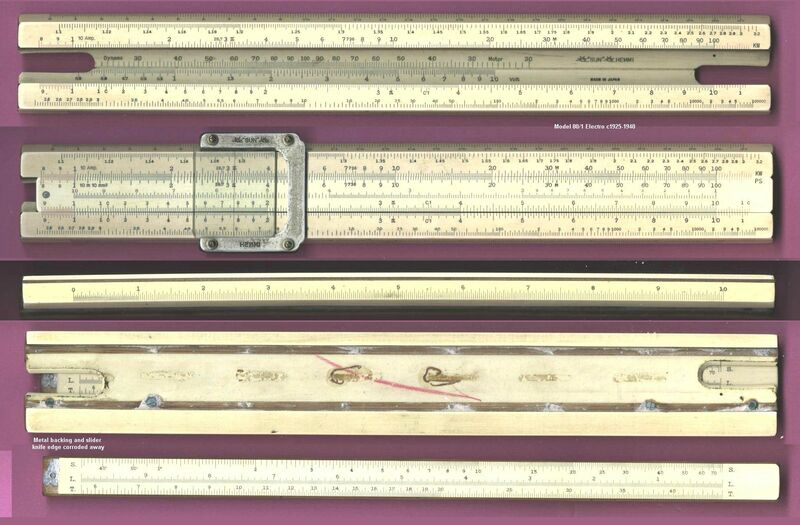 22129 for their laminated bamboo construction method for slide rules. 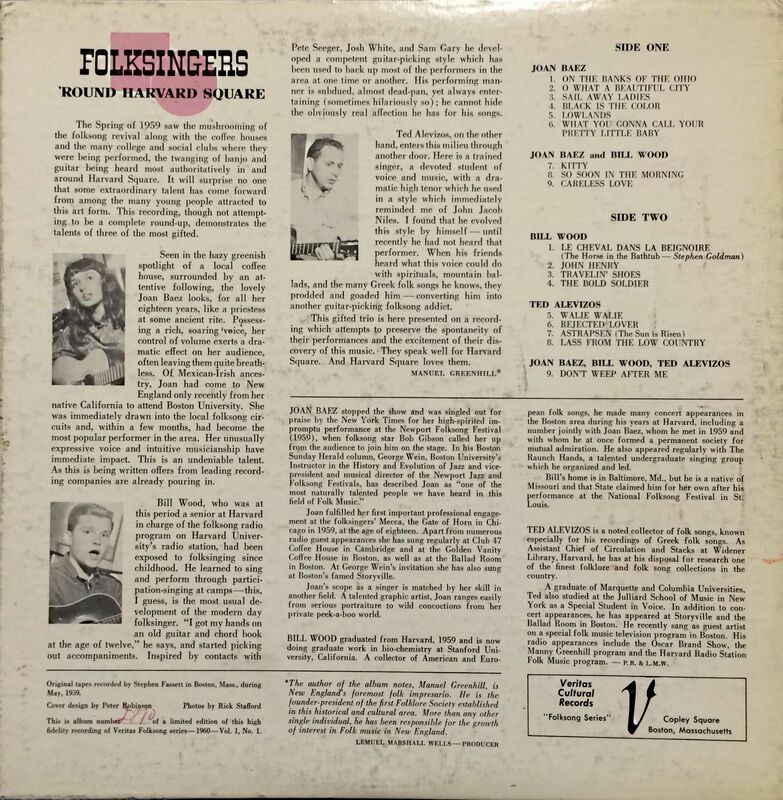 As a young company wanting exposure to a larger market, They started by selling distribution licenses to three other companies: the Fredrick Post Company of Chicago, Illinois, the Hughes-Owen Company of Canada and Tamaya & Company of Tokyo, Japan. 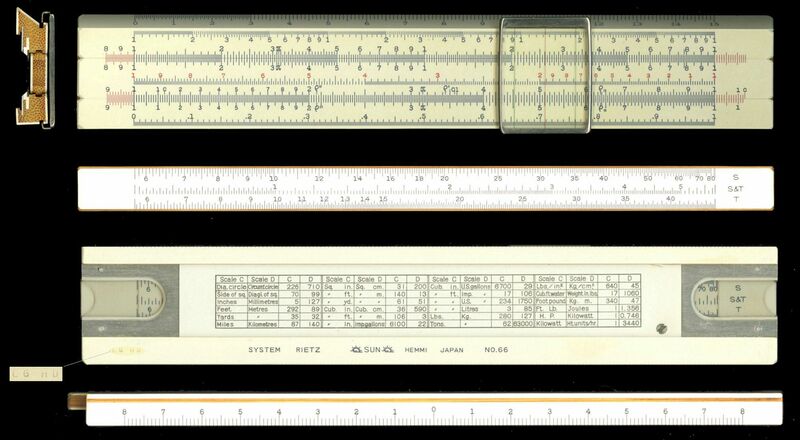 Tamaya, an already a well-established and well-known firm in Japan, began selling Hemmi Slide Rules in 1913. The Hughes-Owen Company of Canada (another old firm), began selling the Hemmi Slide Rules in Canada in 1914 and in 1931, the Fredrick Post Company, of Chicago, Illinois, began selling them in the United States. 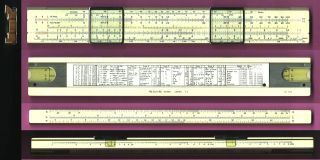 All of three of these companies were selling Hemmi-manufactured Slide Rules under their own and Hemmi's name. 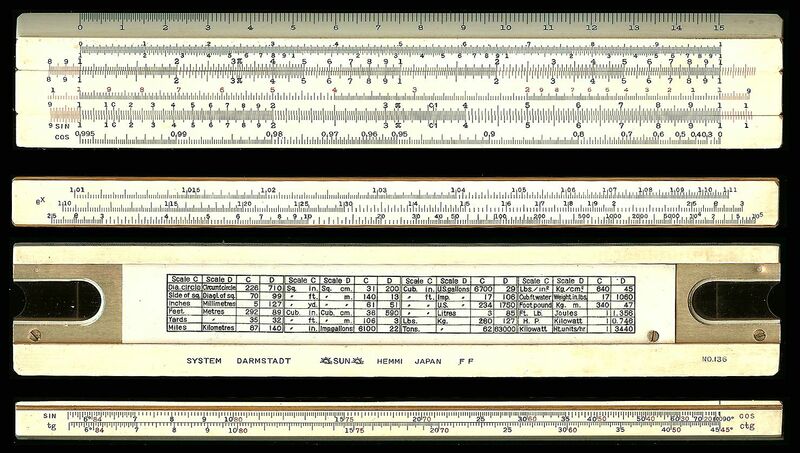 Sun Hemmi also supplied re-branded OEM slide rules to other North American companies like Lafayette, Lietz, and Geotec. Early examples may have had the "Made in Japan" or "Made in Occupied Japan" sanded off due to anti-Japanese sentiments after WWII. 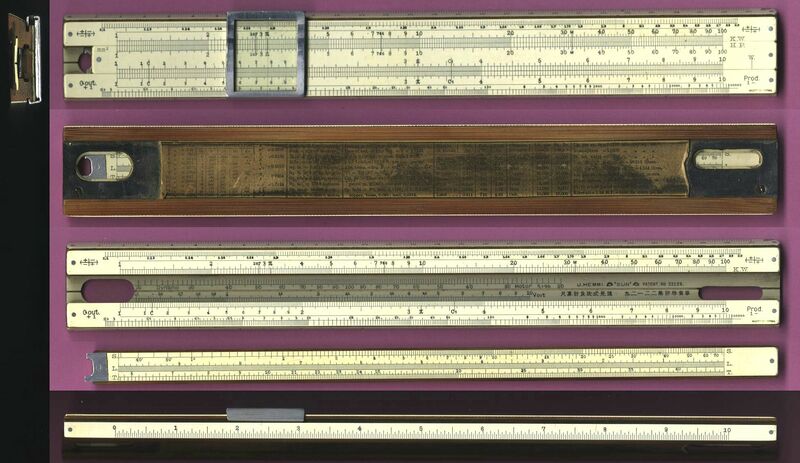 It is estimated that Hemmi produced about 15 million slide rules altogether. 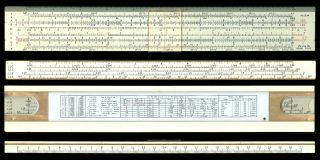 Read Slide Rule History as writtem by the modern-day Hemmi Company in Japan. 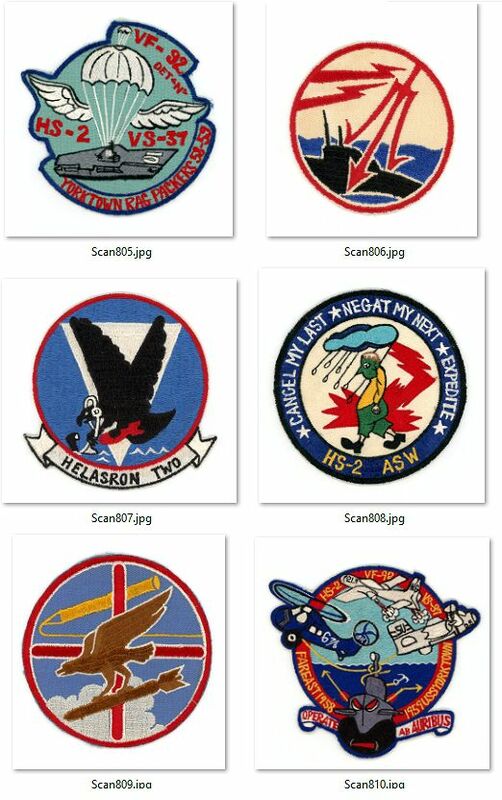 Also Canadian brands of Sun Hemmi, Hughes-Owens . and Geotec . and Phillippine branded Sun Hemmi's sold as ODELCO . 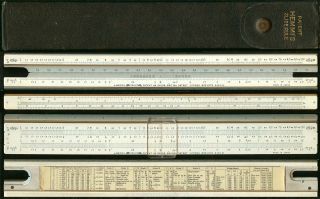 This gallery begins with the long 20" slide rules, then continues by model number, sorted by date of manufacture. 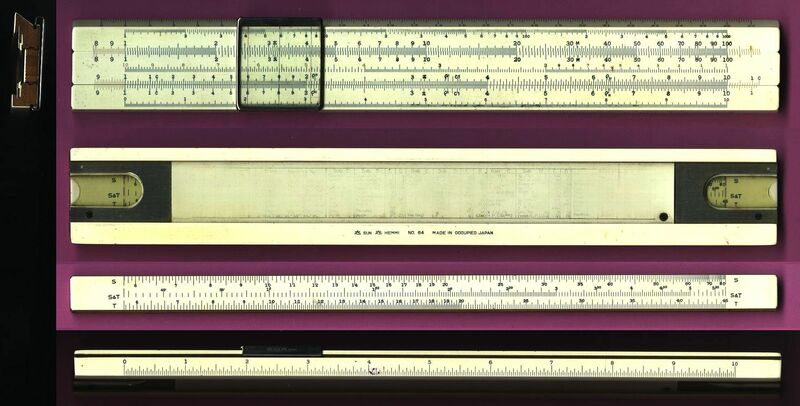 Case: Naugahyde with military division "Air Armament 9/90"
On Left: Another of these slide rules was discovered in a bunker, located under a mountain behind the old Taura pyrotechnic factory, which manufactered torpedos during WWII, and stored them within. The buildings are currently part of the Maritime Self-Defense Force Yokosuka Zosamu depot and Akebono Machinery Co., Ltd. The bunker with its network of tunnels is not open to the public. See Yakumo's blog (in Japanese). Google will do a decent translation. Stock Patents:Patent 22129 (1912), British patent 107562 (1917), Brevete S.G.D.G. Note: This is signed by "J.Hemmi". 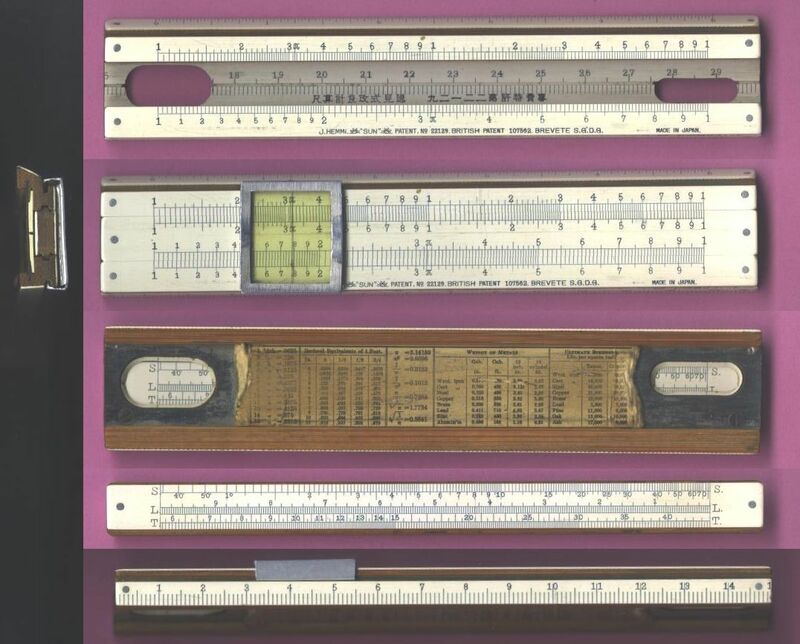 After 1928, the slide rules were just signed "Hemmi"
This slide rule was owned by Jiro's father who was an electrical engineer. "Jiro" means "second son" in Japanese. Jiro worked in a career at Daicel Chemical Industries, Ltd As a vice-president, he worked with many American companies that were developing writable optical disk media. 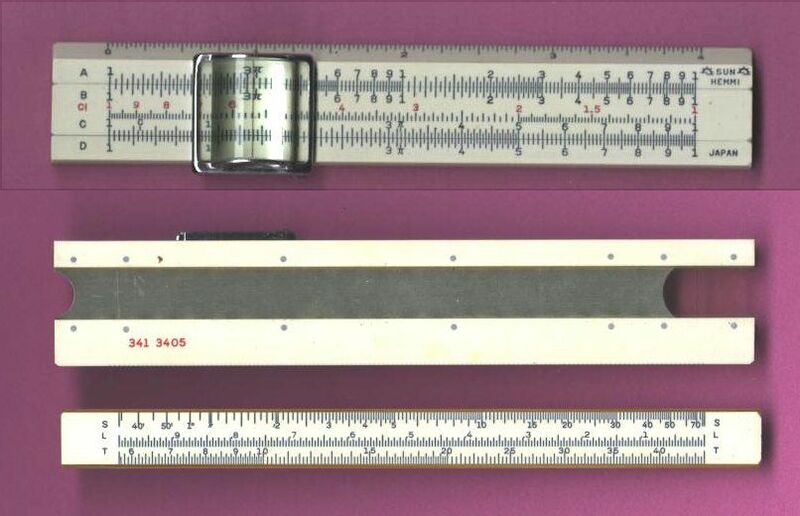 Made in Japan - 20 scales - used in electrical engineering classes in Taiwan. Cursor (Reversible): to align hairlines to the top and bottom edge scales. 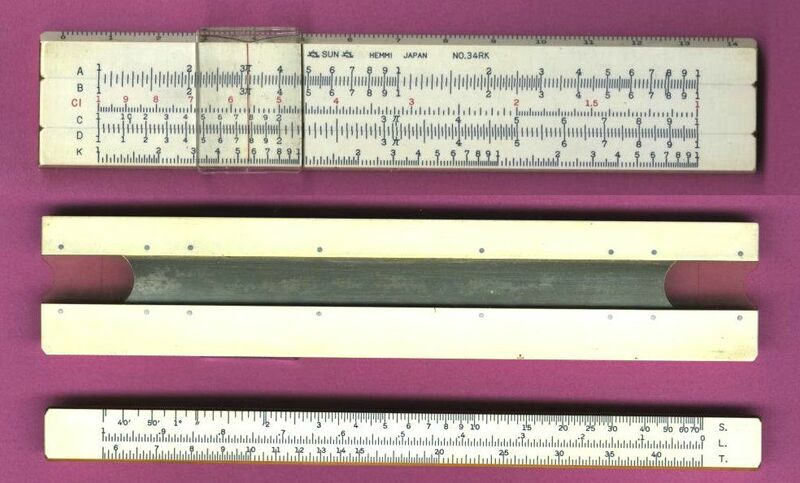 Dr. Di Chen bought this slide rule in 1950 while in his second year at the EE department of the National Taiwan University in Taipei, Taiwan. Dr. Di Chen has over 45 years of optical data storage experience. He received his Ph.D. in Electrical Engineering at Stanford University, and taught and did research at the University of Minnesota. He joined the Honeywell Research Center where he did pioneering research in magneto-optic recording and laser beam control. He founded Optotech Inc. in 1984, and introduced the world's first high density WORM drive and media to the market. 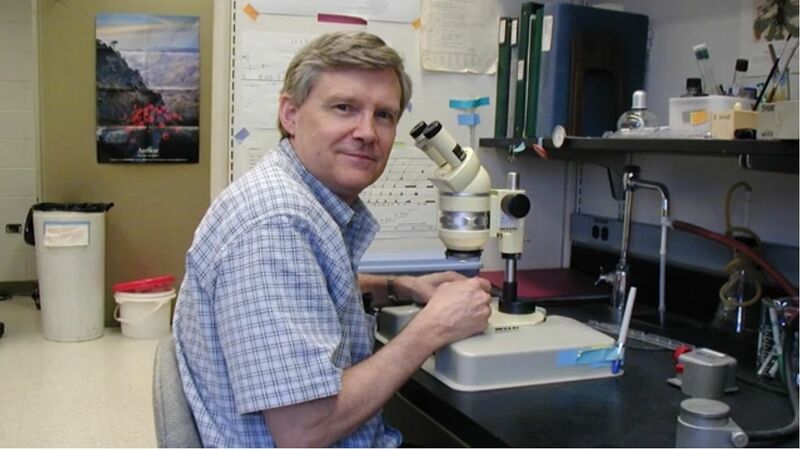 He has published over 100 papers, presentations, and reports on optical data storage. Di is currently the President of Chen and Associates, a consulting company in the field of optical data storage. Made in Occupied Japan - "Made In Occupied Japan" (MIOJ) is a term used for the time period from 1945 (after World War II) through April 25, 1952; it was during this time that the Allies "occupied" Japan. 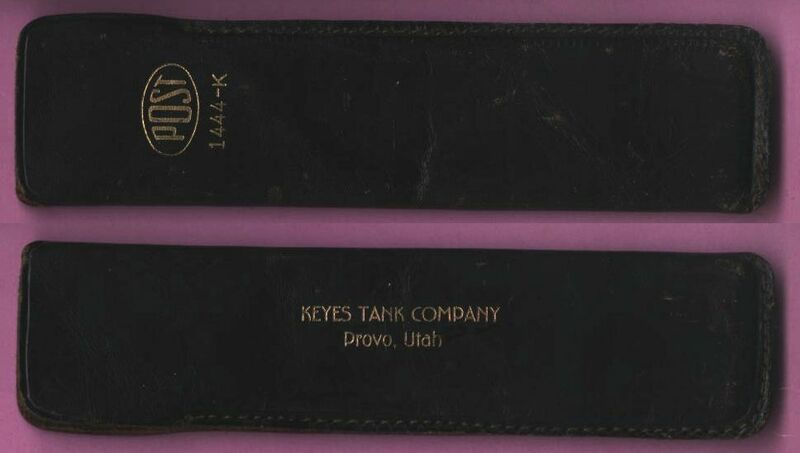 Advertisement (on sleeve): Keyes Tank company, Provo, Utah. S060 Sun Hemmi 45K 8"
Gift Of Phillip Rodley and Lew Solomon of New Zealand. Scan donated by the Owner, Dr. H. John Krijnen, (1946- ) Netherlands, a retired Anesthesiologist and pain specialist who studied at Leiden University. 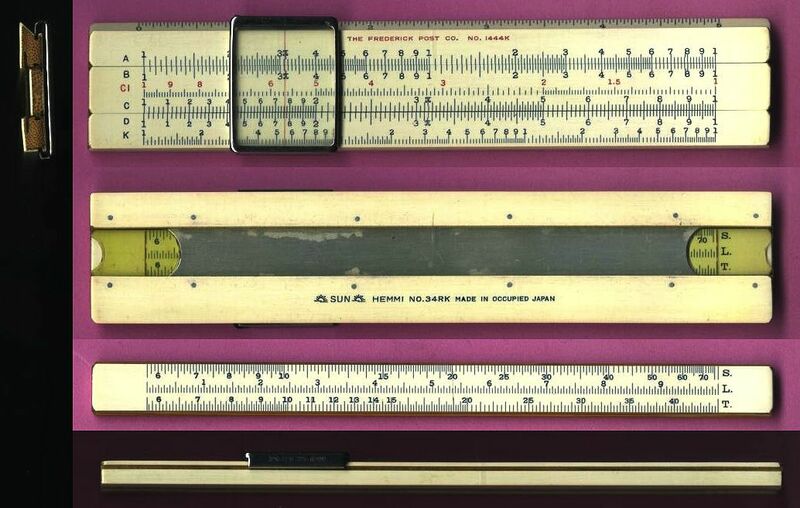 He bought and used slide rules like this one in his practice to calculate dosages of various drugs. 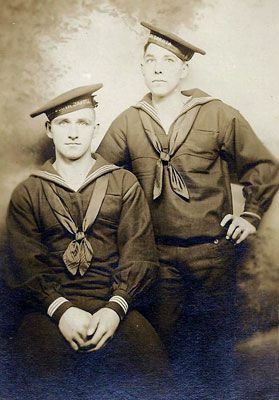 He has published two books on the Great War and maintains an interest in slide rules, photography, markmanship and painting. been corroded away. This was found in Beijing, China. Made in Japan by Hemmi. Note: Scale labels use Times Romans font. Note: This is pre WW-II version as there is no model number on the stock and the label fonts are different than later versions (look at the 'I' in CI on the other Hemmi 153's). Also the Q' scale on this model is red, the others are black. Made in Japan - No Date code. Note logo on cursor, pre-"Occupied Japan"
Note: Engraved with "Occupied Japan", no other date code. Japan was occupied by the U.S. Armed Forces September 1945 and the treaty to un-occupy was September 1951, becoming effective April 1952. 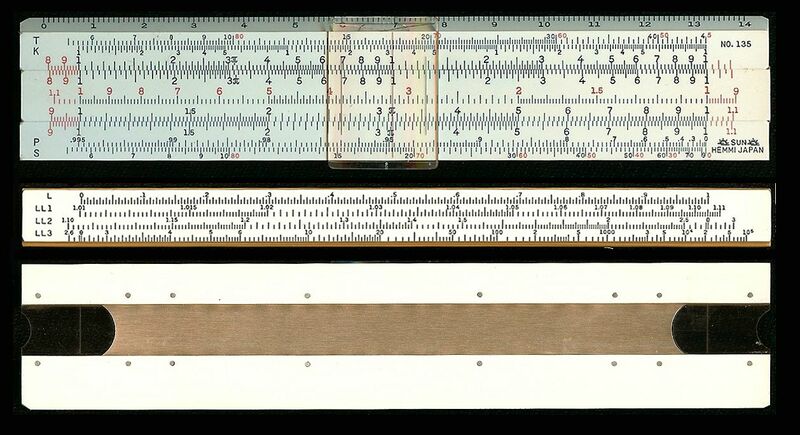 This slide rule was put on eBay by RAdm Rhoad's grandson. It was purchased and Donated By Rod Vance of Australia,	Friend of the Museum. 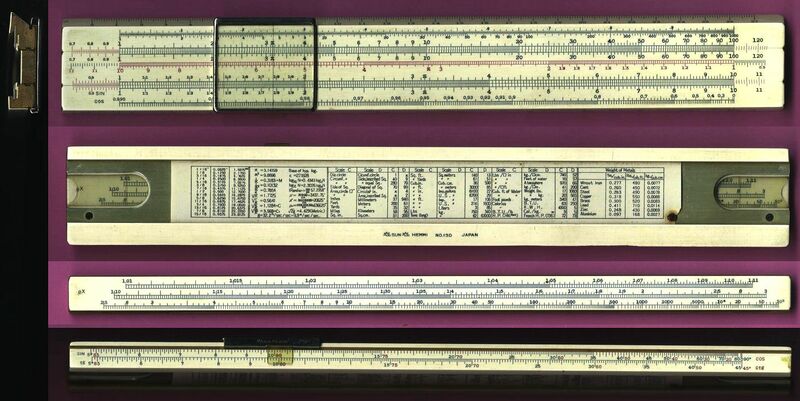 This slide rule was purchased by Rear Admiral Forrest (Dusty) Rhoads while on assignment in Nagasaki, Japan in 1949. Prior to WW-II he owned a Dietzgen 1740 which can be seen in the	Dietzgen Gallery. 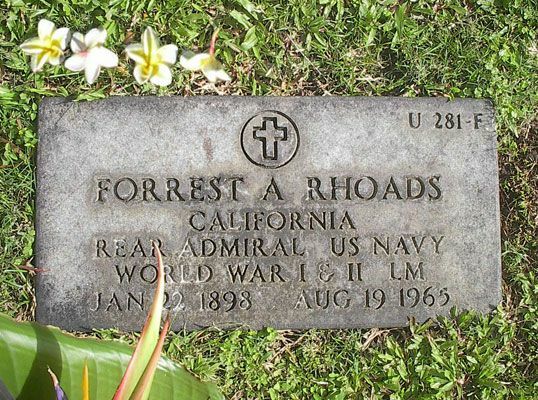 Forrest Alexis Rhoads (1898-1965) was a career naval officer in the United States Navy and his career spanned from an Apprentice Seaman to Rear Admiral and he served in both WWI and WWII. 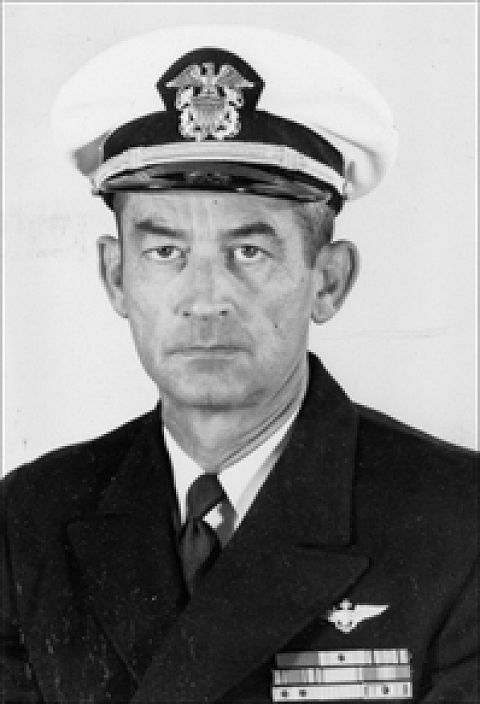 The pictures show him in rank from apprentice Seaman (on left, 1916 on the USS South Dakota), Seaman 1st Class (on left, c1920), Captain (1947), Rear Admiral (on right, 1949) and his final promotion at the National Memorial Cemetary in Honolulu, Hawaii (1965). See an expanded biography at ancestry.com. Made in Japan. Note arrangement of Model number and Logo. No date code. Originally belonged to William (Bill) Barry Woods III, used at Harvard, Cambridge, Mass. 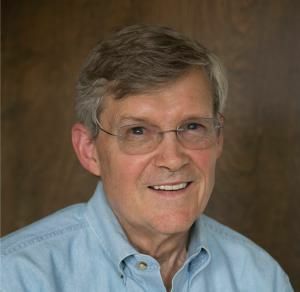 Bill Wood is a Distinguished Professor Emeritus at the University Of Colorado, Boulder. His specialty is in Molecular, Cellular & Developmental Biology. 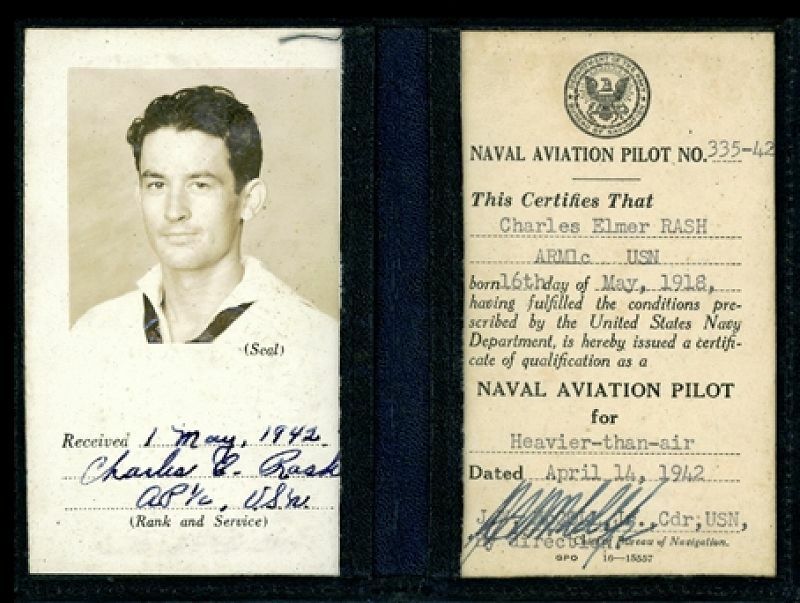 The son of a scientist, Dr. William Barry Wood Jr.(1910-1971), Bill received his A.B. 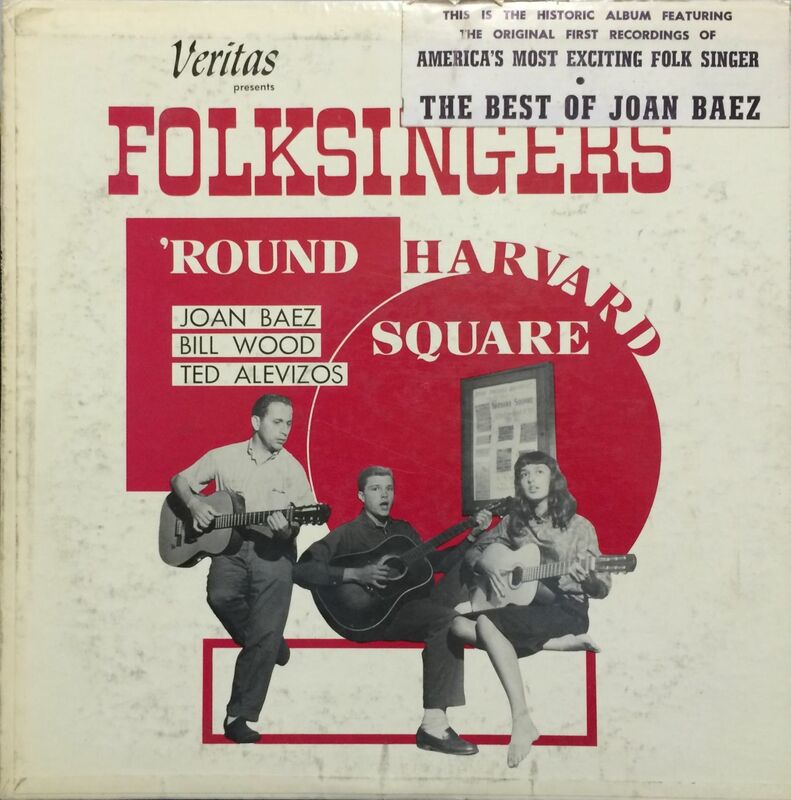 in Chemistry at Harvard, his father and grandfather's alma mater, in 1959. 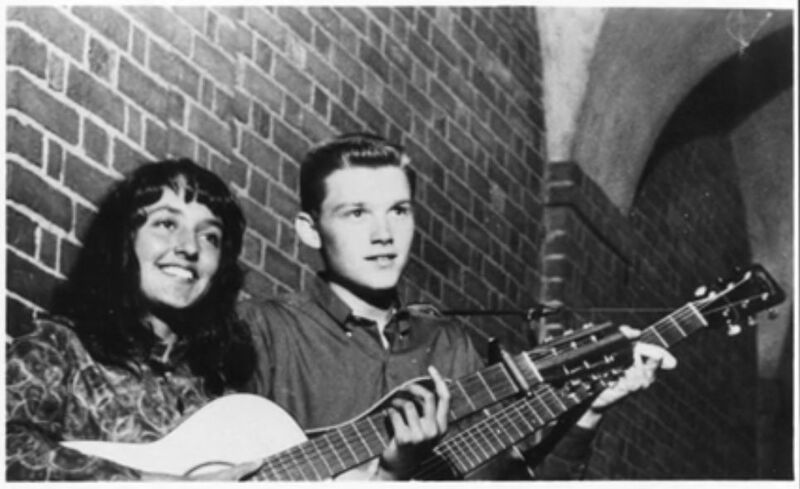 Bill then received his Phd in BioChemistry at Stanford in 1963.In 2014, William B. Wood received the Arthur Kornberg and Paul Berg Lifetime Achievement Award, Stanford University Medical School. 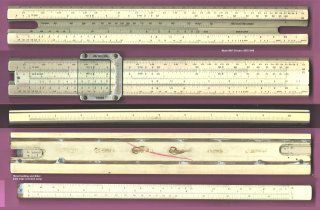 Note different scale set ( DI,LL3, LL2, LL1) and logo position than the 1951 version above. Gifted by his step-daughter, Jodie Adams, and grandson, Jason Adams, of Boise, Idaho. 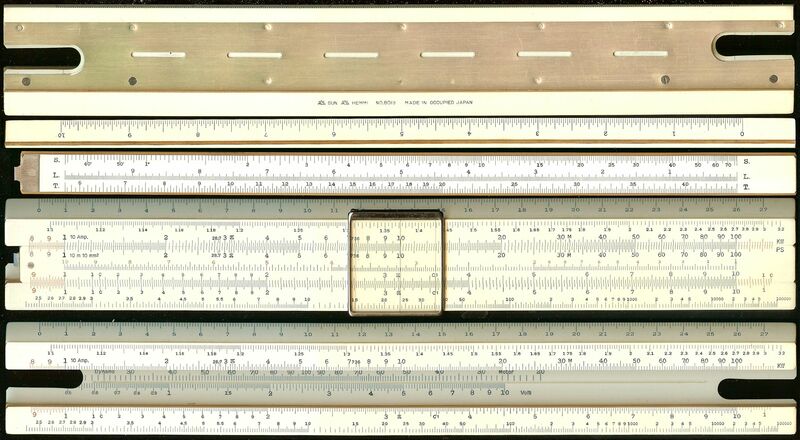 Arthur Eugene McCusker (1931-2013) used this slide rule (and the Hemmi 2634 in the gallery, most likely purchased while in Japan) during his 30 year career in the U.S. Navy. 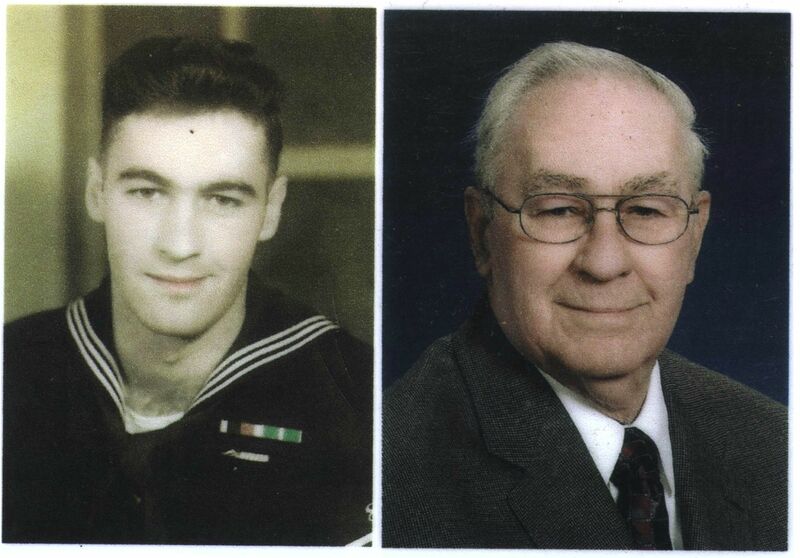 He entered the Navy as a Seaman Recruit in 1950 and retired in 1980 as a Commander. 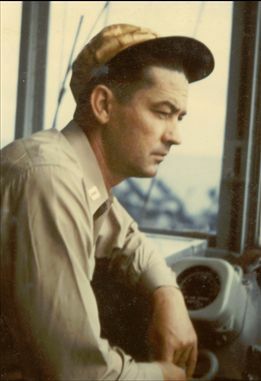 He served during the Korean and Vietnam conflicts. 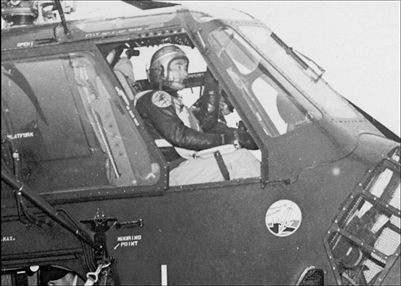 After his military retirement Arthur was employed for 10 more years by San Diego defense contractors working on electronic warfare systems. He lived in Las Vegas, then relocated to Boise, Idaho where he became very active in his Parish. 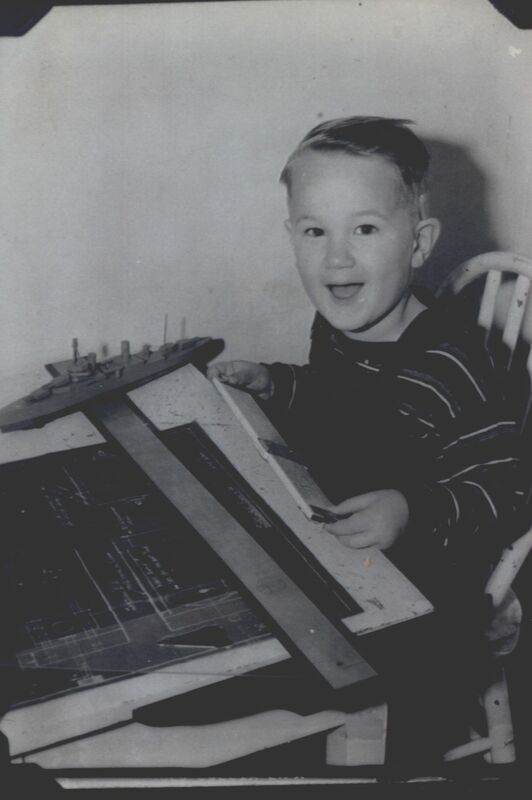 Dustin E. Morris (1939-2017) Dustin, shown in this photo, holdin his father's slide rule next to a Navy ship model. 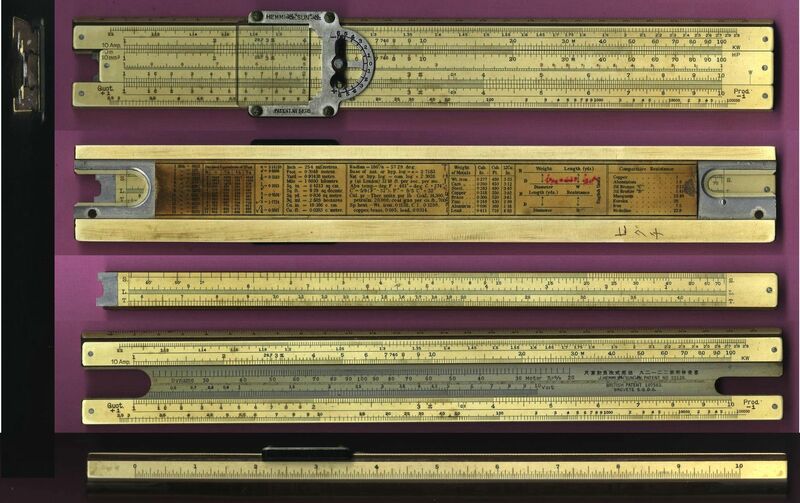 His father was a Naval engineer, so he started out young using a slide rule. 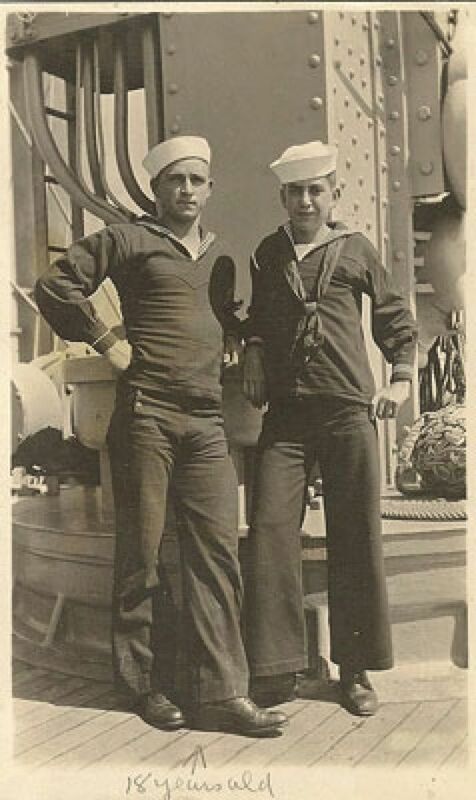 He enlisted in the Coast Guard after high school where he started his career in electronics. Dusty worked for Motorola in the Phoenix area for 33 years. He went to ASU in the evenings until he earned his engineering degree. 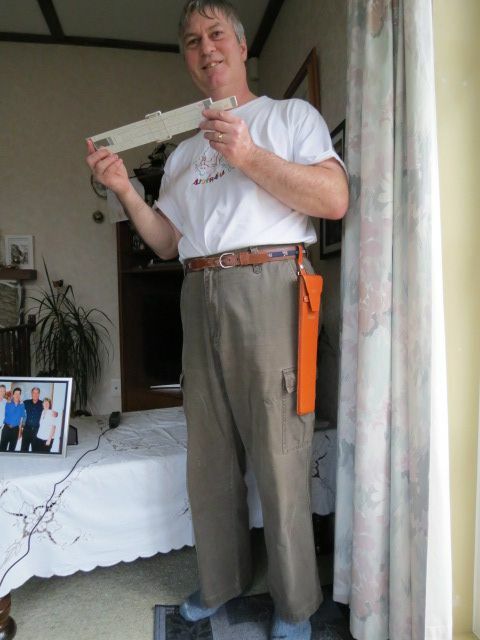 Dusty was a ham radio operator W7ITM who enjoyed building his own equipment. He was an active member of the Motorola Amateur Radio Club of Arizona (MARCA) He presented "Home Brew SWR Bridge" during his last year at age 78. 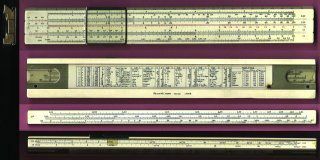 Of the mmany slide rules donated to ISRM, by his wife, Nancy, this is one he used quite often in his Amatuer radio hobby. 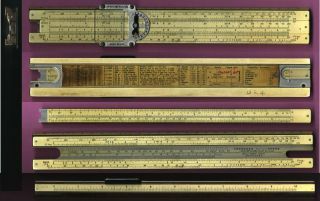 You can see his other personal slide rule, A Pickett N800-ES Log Log and others from his collection in the ISRM galleries. Jiro used this as an chemical engineering student and later when working in a career at Daicel Chemical Industries, Ltd As a vice-president, he worked with many American companies that were developing writable optical disk media. Jiro Higuchi was a past business associate, and a good friend of Mike Konshak, the ISRM curator, who has visited his home in Japan. 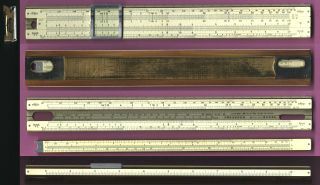 Jiro shares this humorous story about sorobans (Japanese abacus) vs slide rules: "Here was a funny story. My brother in law is a wholesaler of eggs in Tsukiji which is very famous market to deal fresh fish in Tokyo. At the end of year it was very busy because many people came to buy foods for the New Year' days. 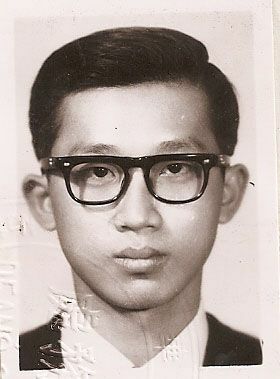 One day, around forty five years ago (about 1972), I helped him to sell eggs at the shop. Usually the eggs are sold piece by piece, but at the market it was sold by kilo. That means the weight of each 10 eggs is different and the price must be calculated each time. They used soroban for the calculation, but I was not able to use soroban for multiplication. 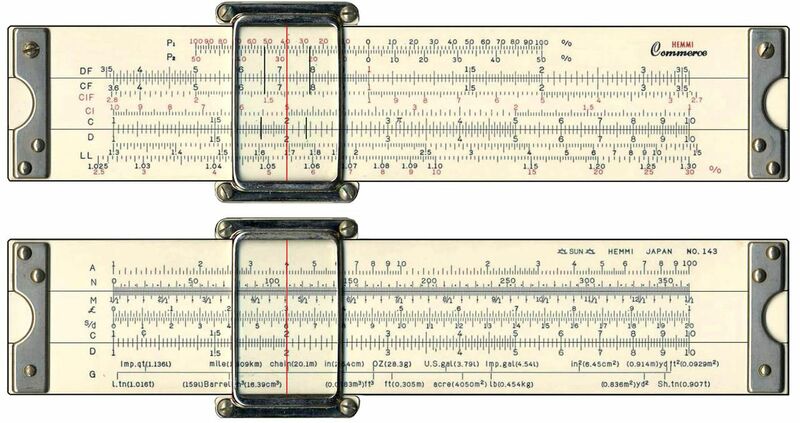 Then I brought my slide rule and used it, it was very fast, but many people did not trust my result. 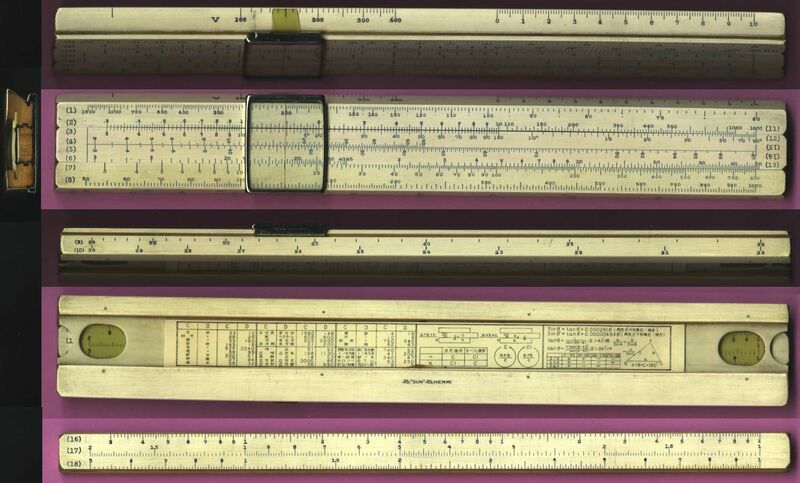 Probably I would be the first person to use a slide rule at the Tsukiji market." 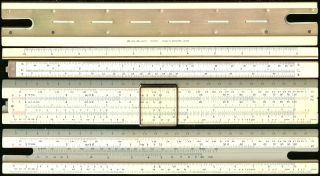 Ron Dies purchased and used this slide rule (see also his DIWA 851/4 pocket slide rule in the MiscEuro gallery) when he was studying architecture from 1956-1962 at the University of Manitoba in Winnipeg. 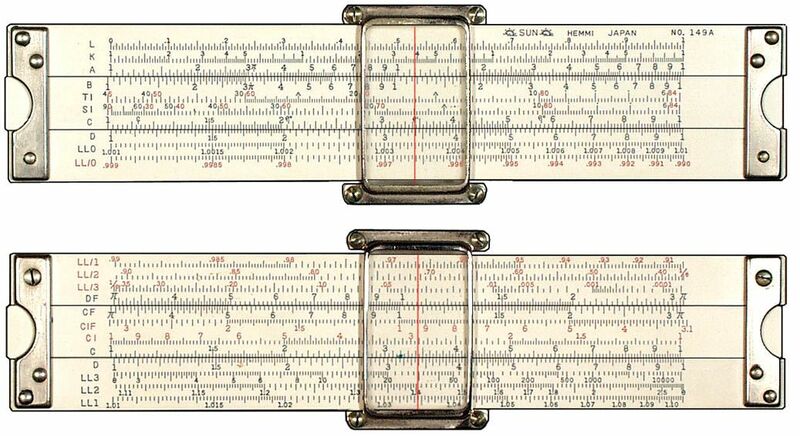 He used these slide rules until electronic slide rules became more useful in his career. He is currently owner of Ron Dies Architecture in Vancouver and is near retirement.